You need to call them but my understanding is that they will if they can. The issue that arises and often gets confused is that they do not guaranty that they will necessarily be able to repair older equipment as they may not have the parts to do so. That's what they told me about 3 years ago. I was told by Orion that they will not sell me parts if I am not the original purchaser. I don't know if that also applies to repairs. For that reason I will not buy any Orion equipment. I don't know if other brands go by the same rule. Regarding warranties on optics, how things have changed! I started working at Bausch & Lomb in 1966, summer job, vacuum coater operator. Their warranty on microscopes was --- FOREVER, and transferrable! And, every now and then... and ancient instrument would come in for adjustment and refurbishment. 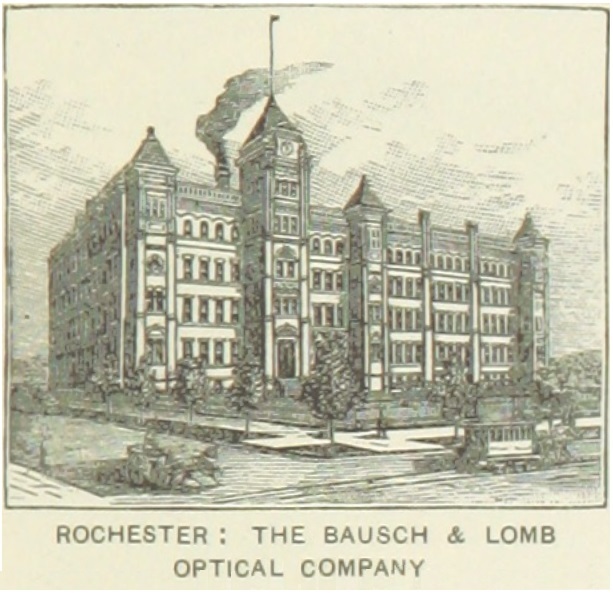 At that time, B&L was still a "full-service" old-fashioned German optics house. Much in the tradition of Zeiss, etc. Of course, B&L is now a shrunken shadow of its former self. Ditto the other two Rochester, NY giants, Kodak and Xerox... substantially dried up, blowed away, or bought out. I guess Nothing is truly forever... not companies and not warranties. "You see, it doesn't matter how it happened, whose fault it was, or where you purchased it. You can count on the VIP Warranty for all Vortex Optics riflescopes, prism scopes, red dots, rangefinders, binoculars, spotting scopes, tripods, and monoculars. If you ever have a problem, no matter the cause, we promise to take care of you." Since Eagle Optics closed doors on the last day of 2017, Vortex also handles the Eagle Optics warranty. If it's broke, they'll fix it at no cost . No paperwork or proof of anything is required . Orion has a different warranty policy, one that is controversial due to the refusal to support second owners and to require first owners to provide proof they were the original purchaser. If you are not the original purchaser, Orion will not work on it, or even sell you parts, regardless of the warranty status. I have first hand experience with this, as I am the second owner of an Orion dob that needed replacement parts. When Orion refused to sell me the parts, I replaced the encoders and computer with something *much* better. That said, if you have an Orion product that you purchased used, please don't take my word for it. Give them a call, as I have heard that they do make exceptions from time to time (but they are breaking their policy to do it). Orion doesn't manufacture any of their own products. Most of Orion's stuff is made by these 4 companies. So you can get parts for most of their stuff. Deep Space Products repairs mounts. If you tell us what you are looking for, maybe we can help. Repair the mount is not the same thing as "sell me parts" on something 10 years old (say). I'd make the call and not trust any of us. When I asked this question about my new mount AT THE STORE in San Jose, it was very clear that they would repair the mount as long as they could get the parts. If the mount was out of production, they said, all bets were off and it was best efforts. Personally, I prefer to have things fixed but I respect those with greater mechanical ability who want to do their own repairs. Still, I'd be checking with careful wording about what's what. The OP was not asking about selling parts on second hand equipment which I've never inquired about. On the other end of the spectrum, as a customer... If I've had something for a few years and it breaks... I figure the burden should be on me to ask, and offer to pay whatever it takes. So far, dealers and shops have been VERY accommodating, when the customer approaches them hat in hand. I even (told them that I) stupidly broke a part and they sent me a new one, no charge. Sometimes a little humility and honesty go a LONG way! I have several item I bought form Orion and they have always been very helpful and have giving me quick turn a round on replacing or repairing parts but that has been under the warranty period. There is only one true source of information for this question and that is Orion. Call or email them to discuss. Everything else is speculation or anecdotal stories that may or may not apply to you. I would call Orion and ask. I bought a 8" Skyview Pro goto second hand and bought several parts from Orion with no problem. I always made it clear I was not the original purchaser, yet they were still willing to take my money if they had the part. Go figure. I've read threads and reviews on experiences with CS of various companies which didn't reflect my personal experience, so I learned it never hurts to try. You never know when you might catch the right person at the right time.